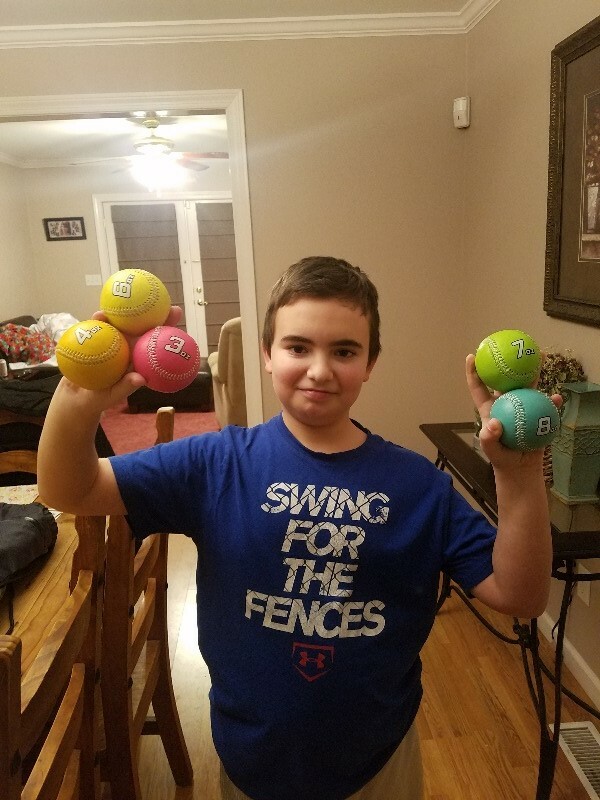 IMPROVE VELOCITY: Incorporate this full set of 3oz to 12oz (except 5oz) weighted training balls into yours and your team's baseball training routine and watch your throwing speeds skyrocket. Start reaching those 60, 70, 80, 90, and 100mph milesstones. Throw faster and harder! IMPROVE DURABILITY: Are your arms always sore? Can you only pitch a few innings before tapping out? Recover faster and increase your shoulder's blood flow, flexibility, strength, endurance, and durability. INJURY PREVENTION: Chronic injuries often only appear long after the damage has been done so it's important to be pro-active with shoulder maintenance. Implement a pre-game, post-game, pre-training, and post-training warm-up and cooldown regemine. Don't wait until there's pain! THROWING PROGRAM: This set does not come with a throwing program. However, they were designed and weighted to be compatible with many well-known (both free and paid) programs already existing. If you're unsure or would like further clarifications, please contact us. This is a great set of training balls. They are a much better quality of material then the ones we used to use. My son and I would highly recommend these to anyone wanting to increase overall arm strength. Thanks for the review Mike and best of luck to your team this year! Exactly what I was looking for!! !outstanding quality and very affordable.